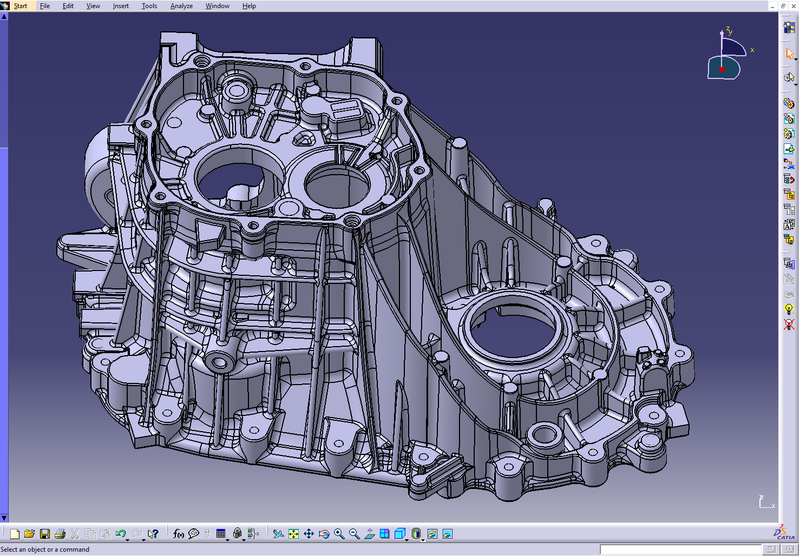 Application of CAD/CAM/CAE software for designing and manufacturing processes significantly shortens the time needed for product implementation, which starts from designing the conceptual object and ends on the final product. It allows creating products with very sophisticated shapes and tools characterized by a complex design. Application of computer aided systems for designing, production and engineering analyses of products with the highest level of advancement enables our company to cooperate with the world’s largest market leaders. Theses systems allows to operate under following formats: IGES, STEP, STP, STL, DWG, DXF, X_T, X_B, , Parasolid, psd, CAT Part, CAT Product, CAT Drawing, sldprt, sldasm, slddrw, cgr, SAT, EPS, STEP, STL, SolidEdge, Inventor, Autocad, SpaceClaim, Catia V6. 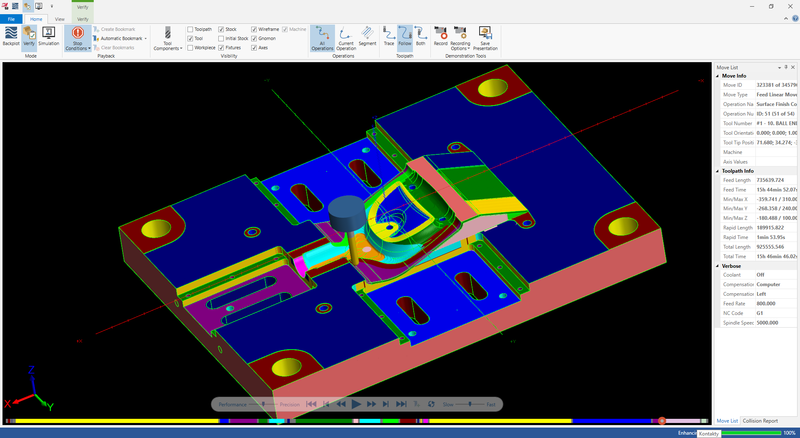 CAE software programs are design to decrease the time for entering the given element in production, while increasing its quality at the same time. Thanks to the possibility of performing various types of analyses and simulations, it is possible to eliminate many errors that are difficult to be revealed without any additional tools. 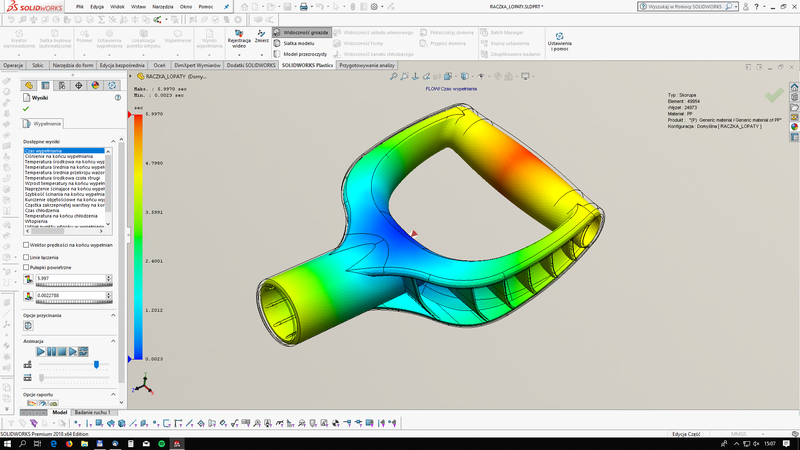 The injection simulation empowers comprehensive analysis of phenomena accompanying the injection process of the material into the forming socket. It admits to appropriate adjustment of plastic contraction, observe the process of pouring the material into sockets, design inlet canals and determine proper injection point, consider proper venting and cooling of moulds, visualize possible fails, deformations and fragmentations of the moulding, set up parameters on the machine, where the mould is under processing. These factors provide the opportunity to professionally design moulds intended for details with a very complex design and shapes. These systems are a very valuable tools, without which the work of our engineers would be impossible, nowadays.